Worth noting this title is character-specific (at least currently so on PTR), so any character that you'd like it on needs to grind out the required Chromie rep.
"That’s what I am: just a traveler. Imagine it: no tax, no bills, no boss. Just the open sky." It's a shame this title don't have a female equivalent, i.e. Timelady. Ah well, I'll settle for being a Timelord, then! "I'm not just a Time Lord. I'm the last of the Time Lords." What good is it to be a Timelord if transmog gear doesn't have a bow tie? Beat the clock, be the first in the world, and you get to be Time Lord Victorious. ~Edit; I completely forgot that I posted this but it was updated the patch after I made this comment. Info here is incorrect. Title is NOT account wide. 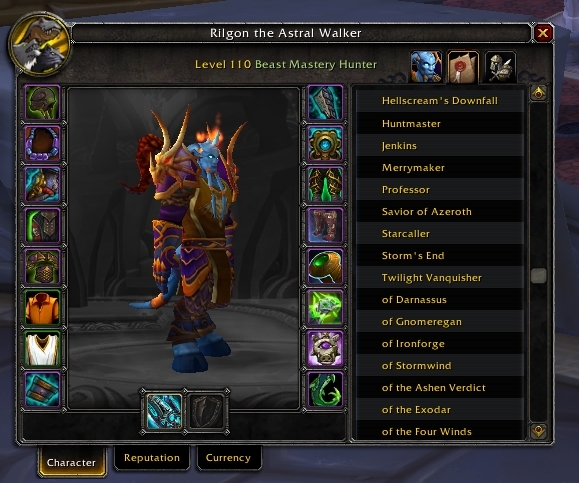 Did it on my Demon Hunter and none of my other characters have it. "I'm a winner, that's who I am. The Time Lord Victorious." Where's my "K-9" mechanical dog battle pet? Or maybe a "Kit-10" mechanical cat. Now that the 13th Doctor has been revealed they need to make a "Time Lady" title. Is this still attainable? Can you still do Chromie's stuff? 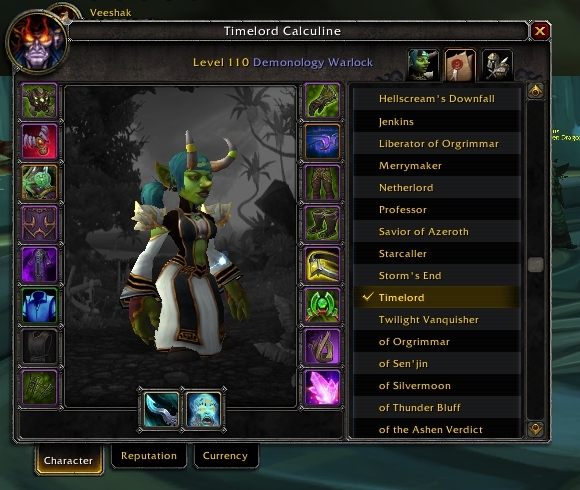 Unlike a few other expansion reputation-related titles, Timelord is not level-locked, meaning that after you obtain it, it can be used on any toon from level 1 onwards. Definitely a nice treat added to everything else!